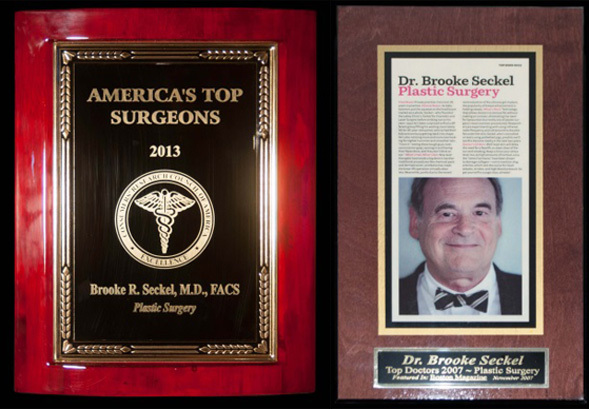 Dr. Brooke Seckel is a plastic surgeon with over 35 years of experience. 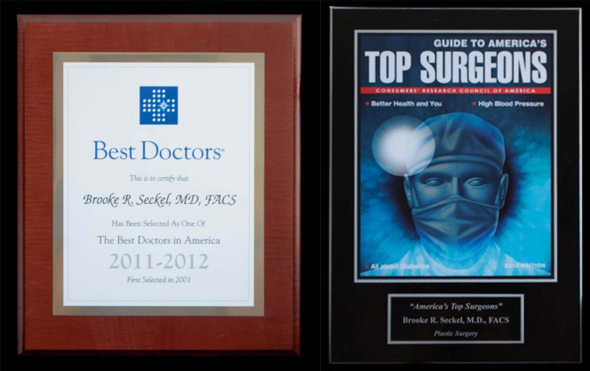 He is board-certified by the American Board of Plastic Surgery. 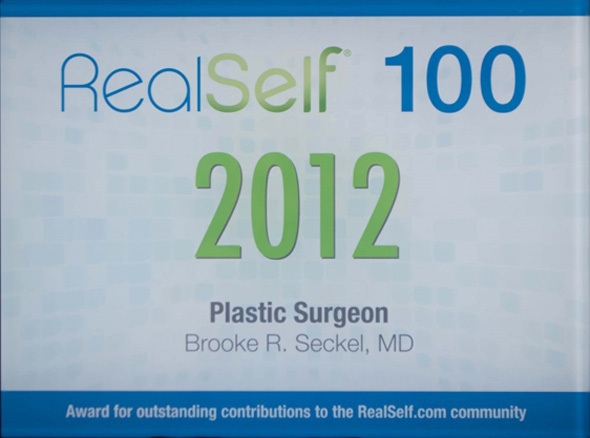 Dr. Seckel specializes in cosmetic plastic surgery of the breast, eyes, face, and body. He is an Assistant Professor of Surgery at Harvard Medical School. He is Chairman Emeritus of Plastic Surgery at Lahey Clinic where he founded the Lahey Clinic Department of Plastic Surgery and the Lahey Clinic Residency Training Program in Plastic Surgery. 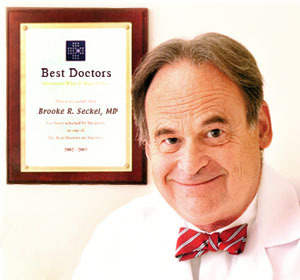 Dr. Seckel trained in Plastic Surgery at the Harvard Medical School Residency Program in Plastic Surgery with Dr. Joseph Murray Harvard Professor of Surgery and winner of the 1990 Nobel Prize in Medicine for kidney transplantation. 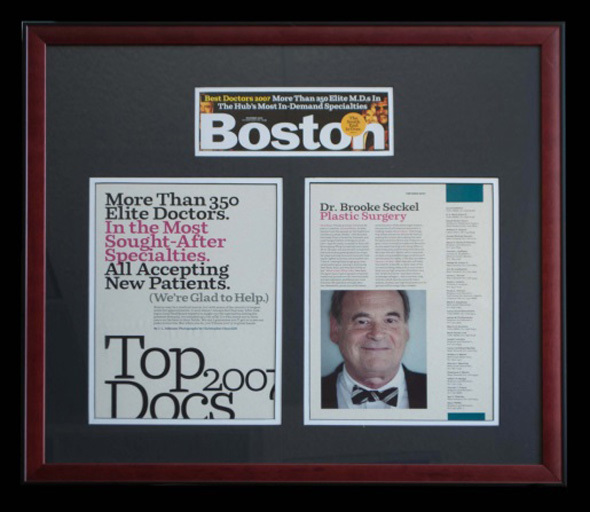 Dr. Seckel is on the staff of the Lahey Clinic, Emerson Hospital and the Boston Center for Ambulatory Surgery. Dr. Seckel can be reached at the Emerson Hospital by calling (978) 369-4499 or by visiting 131 Old Road to Nine Acre Corner in Concord, Massachusetts. He can also be reached by appointment only at the Boston Plastic Surgery Specialists corporate office on Commonwealth Avenue by calling (617) 455-2859. Dr. Seckel is on the staff of the Lahey Clinic, Emerson Hospital and the Boston Center for Ambulatory Surgery. The physicians and staff at Boston Plastic Surgery Specialists are committed to providing high quality care and remarkable surgical results. If you have been considering cosmetic surgery and would like to learn more about your treatment options, please contact our Boston office today.